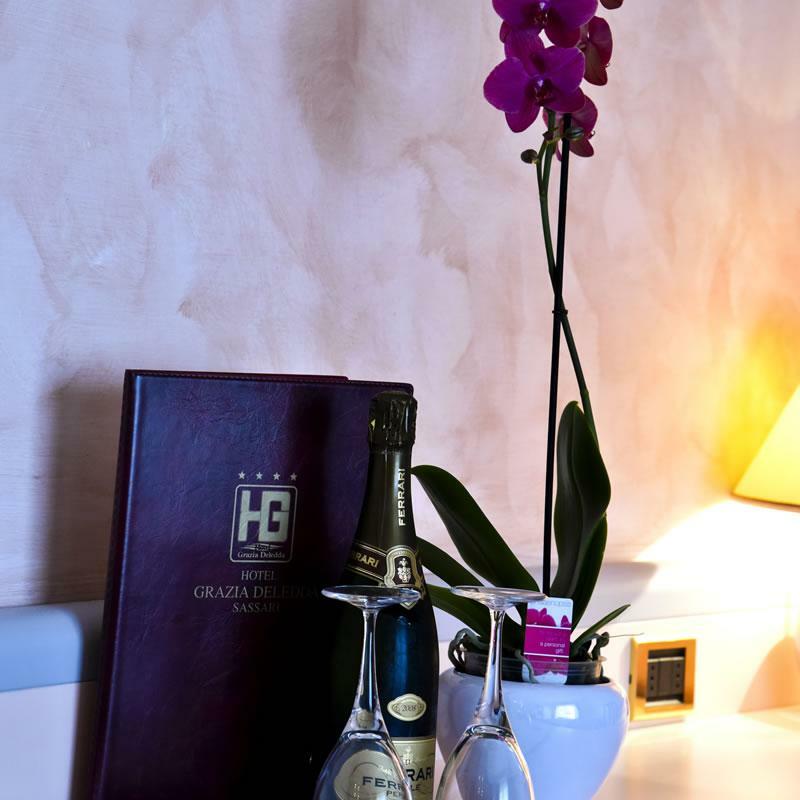 Our single rooms are very luminous and comfortable, and are predominantly located on the upper floors of the'Hotel. Some have a little patio, they face Viale Dante and have an independent heating system and airco. 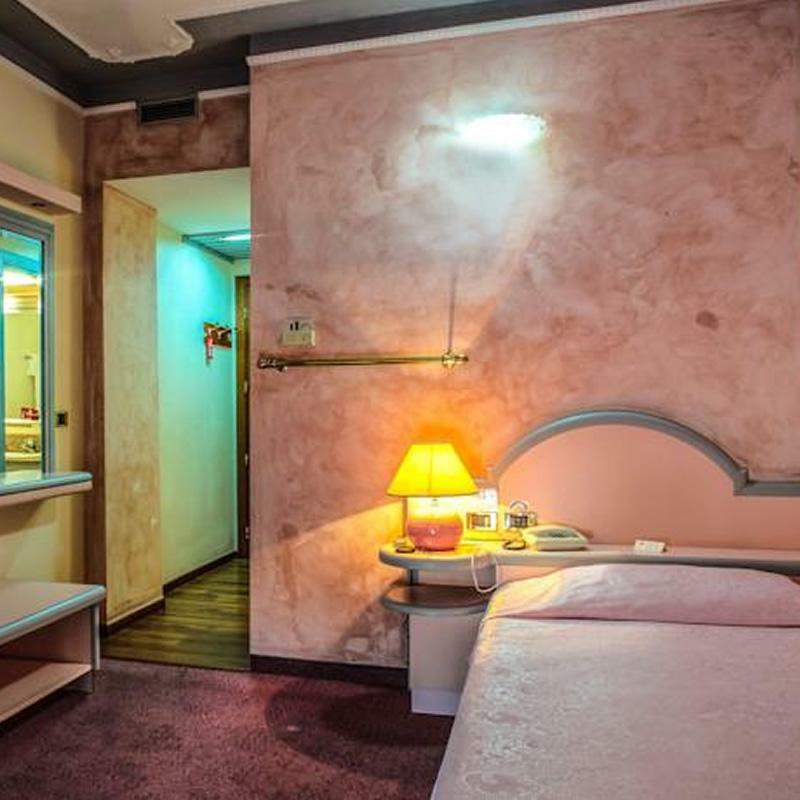 The others have a balcony and are situated in the more più silent parts of' the hotel, and are connected with the central heating system and airco. 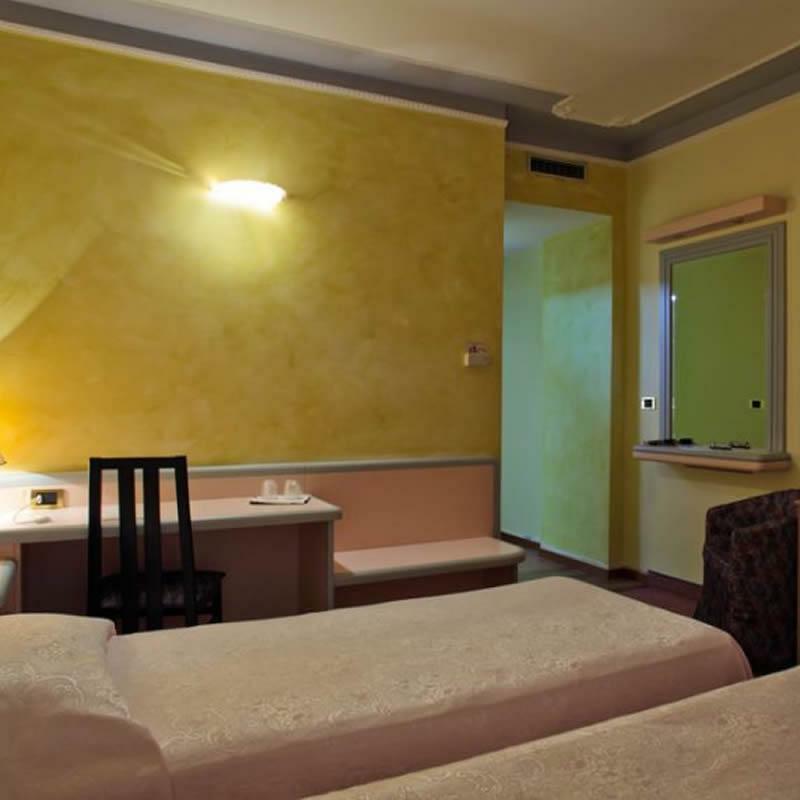 All rooms have color-tv, while some have the option of è Sky satellite channels against extra charge. 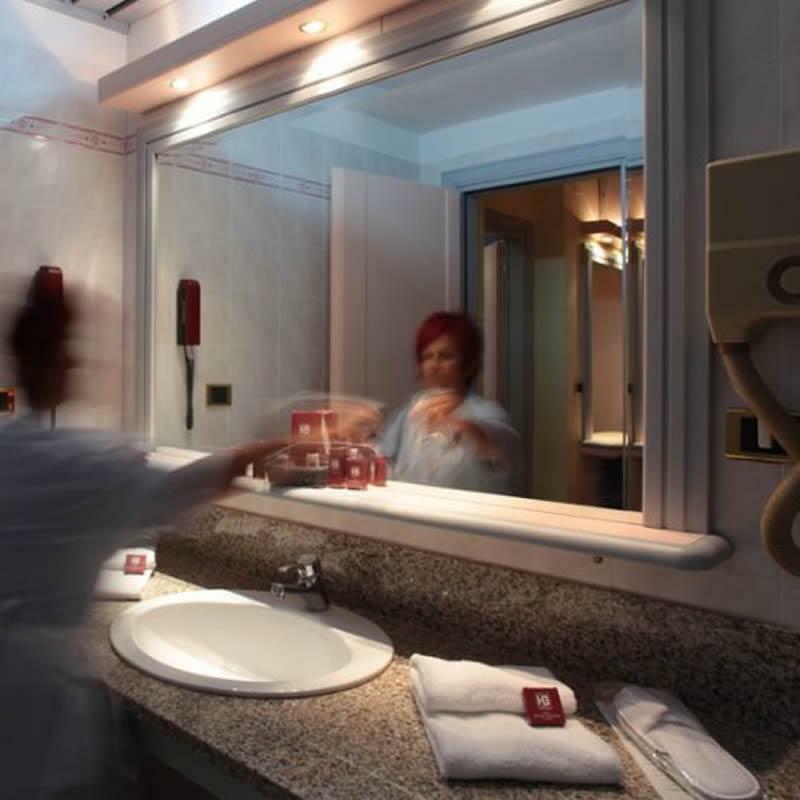 The private bathrooms are furnished with è bathtub and shower, a complimentary set of toiletries, and a hair-dryer. Our double rooms are quite spacious, comfortable and luminous; surface area is about 18m2, airco and autonomous heating system are installed. Some rooms have a small patio. Some, besides having color-tv, are provided with è Sky satellite channels (service at extra charge). 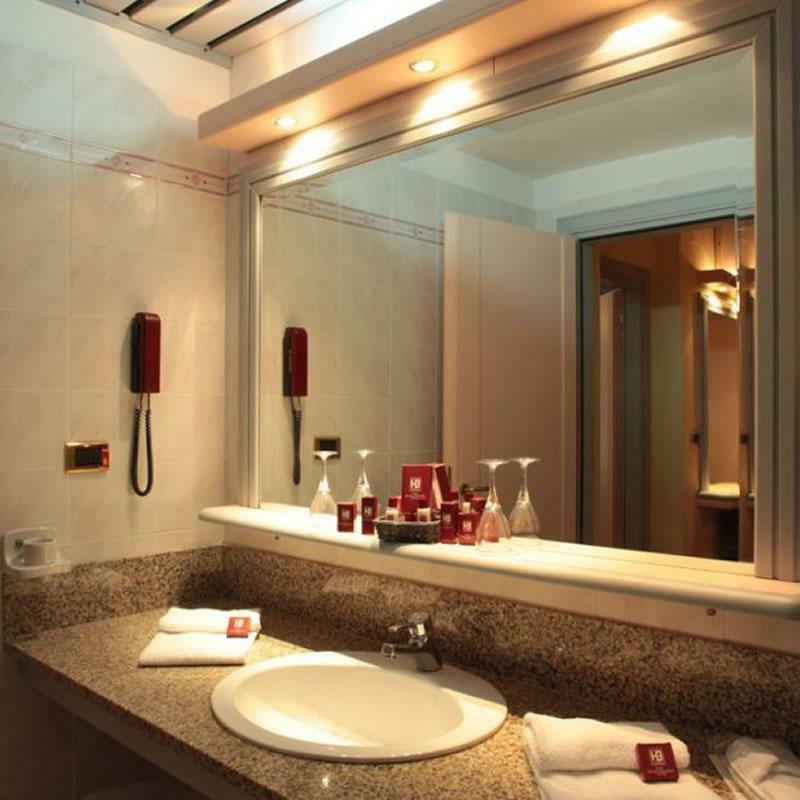 All bathrooms are furnished with bathtub and shower, a complimentary set of toiletries, and a hair-dryer. 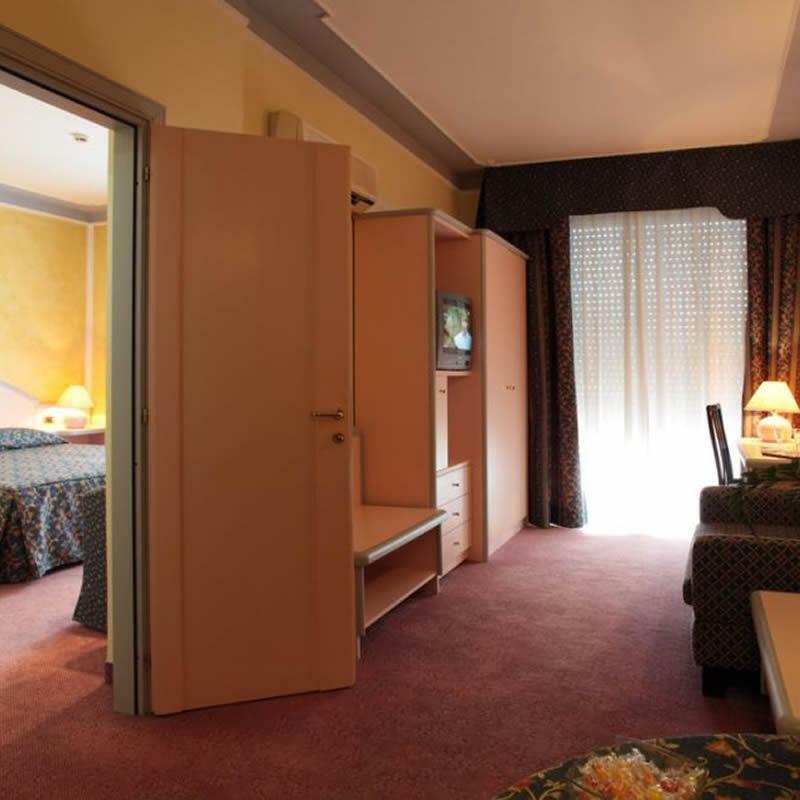 The triple rooms are furnished with a double and a single bed. They are quite spacious, luminous, and cover about 16m2 of surface area; heating and airco are available. Rooms with patio have an independent heating/airco system. Besides having color-tv, some rooms have the option of è Sky satellite channels (against extra charge). The bathrooms are furnished with bathtub and shower, as well as with a complimentary set of toiletries, and a hair-dryer. The Suites with terrace on the upper floors all offer elegance and space. Each has a double bed, a furnished living room with table, couch, desk, and color-TV. The private bathroom is equipped with a Jacuzzi bathtub, a shower, and a complimentary set of toiletries, a perfect series of spaces divided over 26m2 of surface area. The communicating rooms are ideal for families or groups. They consist of 2 communicating rooms with a private bathroom each. They're comfortable and luminous, and offer around 16m2 of surface area each; they're equipped with an independent airco and heating system. 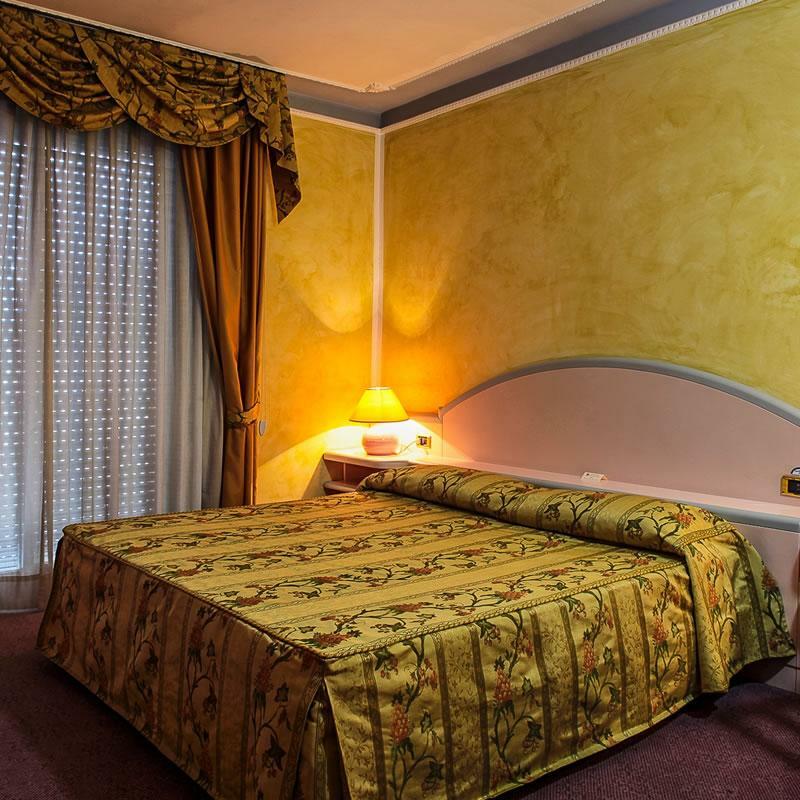 Booking online for hotel: Mycompany Srl.